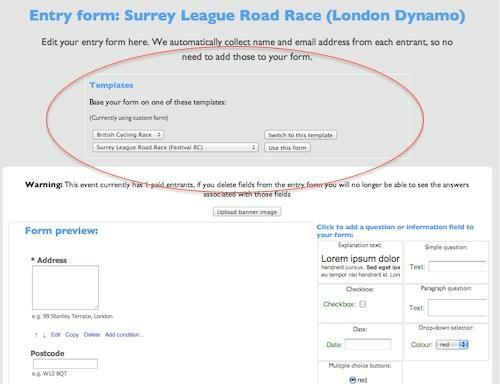 We've added templates to our entry forms to make choosing/designing your entry form easier. You can choose from our list of built-in templates or choose a form from any of your other events, groups or entry lists and apply it in one click. (Of course you can still customise your entry form however you want). Simply select an entry form and click the button (circled above) to apply it. You can then edit it as always, using the entry form editor.